With Chinese demand falling, Australia’s coal producers are looking to other markets. Australia will usurp Indonesia to reclaim its title as the world’s biggest coal exporter by 2017, according to government forecasts. In the meantime though, the industry is expected to see tough times as it adjusts to China’s slowdown and a supply overhang from the boom, along with environmental pressures, with India emerging as the new source of demand. Highlighting sluggish prices, on Friday, Japan’s Tohoku Electric Power reportedly agreed to an annual thermal coal import deal with Rio Tinto at prices 17 percent below a year ago, according to Japan’s Nikkei newspaper. The annual price was settled in the “upper $67 range” per ton for coal from Australia for the Japanese fiscal year beginning April 1, below last year’s price of $81.80 and nearly half the peak price of $130 reached in fiscal 2011. 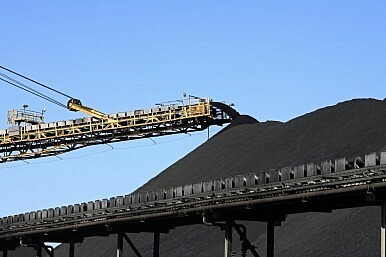 Spot prices for Newcastle coal have fallen to around $56 a ton recently, with Japanese buyers indicating they were “disappointed” by the price agreed with the Anglo-Australian mining giant. According to Reuters, Tohoku accepted the “high” price to secure a stable supply of high-quality coal from Australia, which is Japan’s largest thermal coal supplier. Analysts had predicted an annual Japanese contract price of around $70 a ton, with ANZ Bank and Australia’s government forecaster both eyeing $70 and National Australia Bank expecting $72.50. In a February 18 report, ANZ Research slashed its price forecasts by 7-17 percent over the next three to four years, noting a “lack of supply discipline, mainly due to onerous take-or-pay infrastructure commitments in Australia,” with China also introducing “unfavorable trade restrictions” to protect domestic producers. According to consultancy HDR Salva, high thermal coal prices in 2010-11 incentivized a 43 percent surge in global production, or more than 250 million tons, with output only starting to fall in 2014. In its latest quarterly report, the Australian government’s Department of Industry and Science said the delayed closure of unprofitable capacity would extend the current supply overhang into 2017, with prices starting to rise afterwards as the market rebalances. Yet while cutbacks forced by falling prices are expected to see Australian thermal coal production decline slightly in fiscal 2015 to 243 million tons, the long-term outlook is for continued expansion. The department said production would increase from 2016 as new mines reached full capacity, while the expected start-up of Indian giant Adani’s new 60 million tons per annum mine in Queensland state’s Galilee Basin would boost output to 278 million tons by 2020. Most of this production will be exported, with Australia’s thermal coal exports expected to reach 234 million tons by 2020, up from 201 million tons in 2014. While well below Indonesia’s thermal coal exports, which are expected to drop from 406 million tons in 2014 to 387 million tons in 2020, Australia’s dominance in metallurgical coal will see it become the world’s biggest exporter of coal by the end of the decade, matching its position in iron ore and liquefied natural gas (LNG). The eastern state of Queensland has led Australia’s coal production charge, exporting almost 216 million tons in 2014, up from 196 million tons the previous year. “What we are seeing are Queensland coal producers replacing the high prices of a few years ago with the volumes necessary to keep their operations viable in a currently depressed market,” said Queensland Resources Council chief executive Michael Roche. “Queensland producers are saying to overseas customers that they are here for the long haul with the reliable supply of a range of high-quality coals. Their first goal must be to outperform competitors attracted to the export market by record prices that peaked around 2009-10. The Australian currency’s fall to six-year lows against the U.S. dollar has helped to prop up production, with export contracts typically priced in the U.S. currency. In addition, lower oil prices have further reduced costs, particularly in Indonesia, with most thermal exporters now “back in the black” on a cash basis, according to HDR Salva. In a March 31 presentation to the Queensland Exploration Council in Brisbane, HDR Salva’s chief analyst Mark Gresswell said the thermal coal market was rebalancing, noting Glencore’s plans to cut Australian exports by 15 million tons and a lack of new projects coming online. From annual supply growth of 50 million tons from 2004 to 2013, supply contracted last year and is expected to rise by only 20 to 25 million tons in 2015, he said. While China’s demand for thermal coal has weakened, with an estimated 70 percent of domestic producers “currently unprofitable,” India boosted imports in 2014 by 28 million tons to 164 million tons, overtaking Japan as the world’s second-largest importer. “India is commissioning around 20 gigawatts of new coal-fired power every year. Coal accounted for nearly 80 percent of its power generation last year, up from 74 percent the previous year and 71 percent the previous year,” Gresswell said. According to Gresswell, supply will remain “sticky” in 2015 but demand will start rising from 2016 as countries across Asia ramp up coal-fired power generation, resulting in an estimated 50 million tons of annual demand growth from 2016 to 2020. “Even with lower gas prices now, coal is still by far the cheapest fuel for power generation anywhere in Asia, and it’s widely available. Over the next five years we do expect significant growth from India, North Asia…and Southeast Asia,” he said. “In terms of the ability of the supply side to respond, we think it’s been diminished over the past two to three years – a lot of closures, a lot of shutdowns, a lot of people scared of the coal industry, not just the producers themselves but also the finance sector, so I think the supply side will be caught short. If demand is growing faster than supply then prices will go up, and we think there will be a sustained and steady recovery through to 2018 and probably longer,” he added. According to the Australian government’s forecaster, India has 118 gigawatts of coal-fired capacity under construction or approved, with Indian Prime Minister Narendra Modi aiming to ensure all Indian villages have 24-hour access to electricity. It expects Indian coal imports to increase at an annual average rate of 7 percent a year to reach 244 million tons by 2020, despite efforts to increase domestic production. The picture is less bright for metallurgical or coking coal however, with Cresswell noting further falls in prices of the steel-making ingredient amid a surge in production from both established and new producers. While Indian demand growth has increased, he said Chinese import numbers for January-February were “diabolical,” with concerns that Chinese steel exports are “flooding” the market after a 50 percent jump last year. According to ANZ Research, Chinese steel demand is likely to fall in 2015 for the first time in 35 years, with the key headwind being an “oversupplied Chinese housing market” that accounts for 40 percent of steel output. Australia’s government forecaster expects coking coal prices to remain subdued until demand growth recovers and further mine closures occur, estimating an average price of $114 a ton by 2020 compared to $126 in 2014. Signs of a bottoming in prices have been shown by reports of private equity (PE) funds increasing their activity in the sector, with an estimated $10 billion of capital available for investment, HDR Salva’s Gresswell said. “We may not be quite at the trough, but we’re certainly pretty close, hence the PE guys moving in,” he said. However, environmental pressures are also mounting on the coal industry, from activist investors in Europe and North America to efforts to curb pollution and reduce greenhouse gas emissions. On March 5, China’s National Development and Reform Commission (NDRC) said it would target reducing coal usage from 70 percent of total primary energy consumption to below 65 percent by 2017 and 50 percent by mid-century, with an increased reliance on gas and renewables. Gresswell said China’s recent regulations on thermal coal quality had hit lower-quality Indonesian exports hard, with a sharp fall in Indonesian imports but a rise in Australian imports. “Australian coal does have a competitive advantage in coal quality which could position it for growth into the market, even though it is declining overall,” he said. The prospects for clean coal technology have been improved by Japan, which has flagged its “ultra supercritical” Isogo power plant near Yokohama as a model for the region in reducing emissions from coal-fired power plants. According to the Japanese government, applying the same technology to Chinese, Indian and U.S. plants could reduce carbon dioxide emissions by more than Japan’s annual total. Meanwhile, the coal industry’s hopes are riding on India and Southeast Asia coming to the rescue while China, the world’s biggest consumer, apparently curbs its addiction. Weakening demand in China is having significant ramifications for the resources sector, particularly in Australia.